Die cut decals and stickers are a great way to decorate almost any surface. They can be used to promote your company or support a local sports team. The die cut system allows you to create as many decals as you want. Decals don't have to be used for business, you can create your own design and have enough made for your family and friends. Exact duplicates of brand logos make it easier to recognize the company. When a die is used to create the decal, the result is a perfect replica of the original design. Business owners love them because they are relatively inexpensive to manufacture and can be given away as gifts or sold to raise money for an event. All the while increasing the brand's visibility and raising awareness about the company in general. Vinyl is extremely durable and can remain in place for years without fading, cracking, or peeling. Unlike stickers that are made of a thick paper with a wax coating, vinyl die cut decals can be washed or wiped down without fear of causing the color to fade or edges to peel. Vinyl will stay affixed to almost any surface until you peel it away. The colors won't fade so your message will remain as vibrant and on-point as ever! Vinyl is easy to apply to almost any surface. 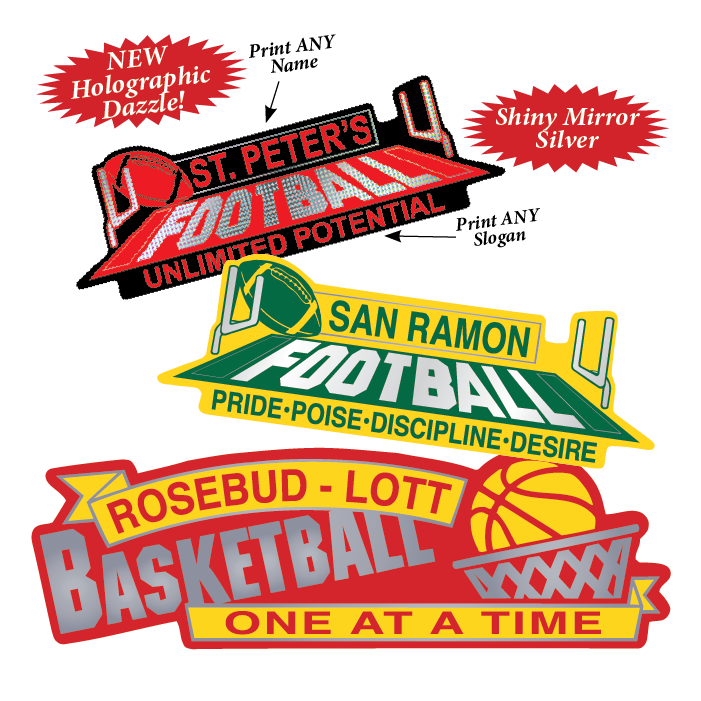 Kids can apply their vinyl die cut decals to binders, lockers, or mirrors, while adults can stick them to car bumpers, refrigerators, or any other surface where they can be seen by the masses. They can even be placed on car windows as long as they don't obstruct the driver's view of the road. Vinyl decals are a great way to give your company the visibility it needs to become a household name. 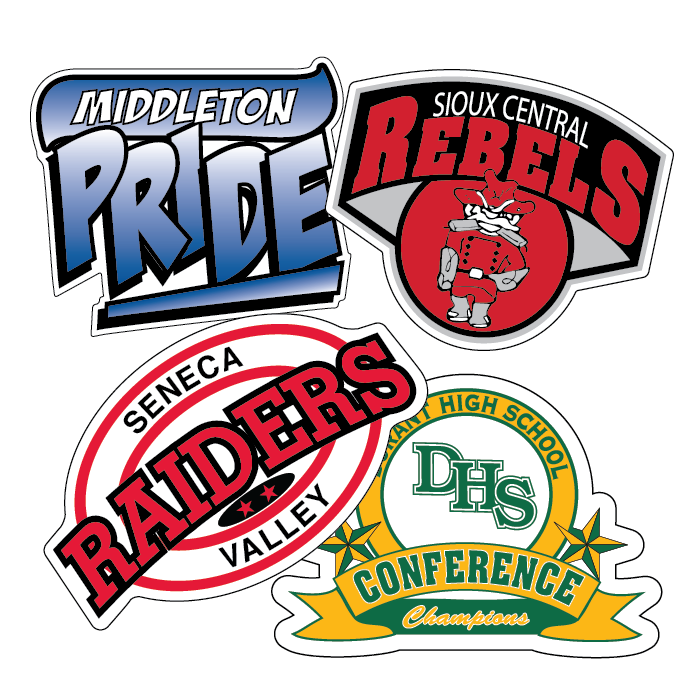 Sports teams can use vinyl die cut decals to raise money or for parents to show their support for their kid’s athletic programs. If you are looking for a great way to advertise or simply send a message, vinyl die cut decals are an inexpensive way to accomplish your goals. An exact copy of your logo, brand, or personal design can be created so your friends and family can share them everywhere!